Save on Hundred's of Products and Accessories! AquA AnimaniA » Coupondz » Seasonal » 4th Annual Anniversary Canada Day Firework$ Salebration! ← Seasonal Pond and Aquarium Transition $ale Event! 4th Annual Anniversary Canada Day Firework$ Salebration! To celebrate Canada Day and our 4th Anniversary of proudly serving Windsor, Essex County and Beyond, AquA AnimaniA is launching our 4th annual Summer Salebration and AquA Firework$ Blastoff! Be sure to stop by this weekend during our sidewalk* sale and save 20%-40% off our already low prices on select outdoor pond, pet and aquarium products store-wide. Just in time for your Canada Day celebrations, we have also stocked a wide selection and variety of fireworks including, rockets, cakes, giant cakes, complete display packs, sparklers, flying lanterns, candles, ice fountains and clearance fireworks! 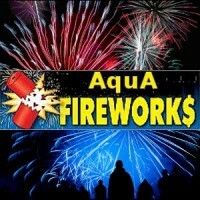 If you don’t have a budget for a huge pyrotechnic show, don’t worry – AquA AnimaniA is your #1 local source for affordable, high quality fireworks! Don’t forget to bring your family and friends, lawn chairs and snacks after sundown on Sunday* (June 28th) to celebrate Canada Day with us and enjoy our 4th annual customer and community appreciation AquA Firework$ Display! AquA AnimaniA is centrally located @ 5467 Tecumseh Rd East between Pillette Rd and Jefferson Blvd, on the southeast corner of Rivard Ave and conveniently accessible via Transit Windsor Transway 1C and Ottawa 4. This entry was posted in Aquariums, Coral, Events, Fish, Pets, Ponds, Seasonal and tagged Canada Day, Fireworks, Ponds, Seasonal. Bookmark the permalink. Share the short url. AquA AnimaniA is your #1 local source for a wide variety of family pets, birds, small animals, aquarium fish, pond fish, amphibians and more! To properly care for your pets, we have expert advise on hand to help you with all your pets and water related needs. We also carry a comprehensive and extensive line of aquariums, live aquarium plants, live coral, aquarium supplies, ponds & supplies, plus countless pet supplies, including accessories, equipment, foods, treats, toys for dogs & puppies, cats & kittens, birds, amphibians, reptiles, aquarium fish, pond fish, small animals, exotic pets and other critters. Shop at AquA AnimaniA Online! Get the same great service, featuring exclusive savings and online only Coupond$, including local/regional delivery, shipping services plus much more! Seasonal Pond and Aquarium Transition $ale Event! 3 Year Anniversary Canada Day Salebration! 2nd Annual Windsor/Essex Black Friday Holiday Sale Event! Come see what’s flying around! We have a large variety of student & senior friendly pets and accessories! Seniors & Students; Save up to 20% off any Purchase! Important Notices and Disclaimers: Please note that by using or following links on the aquaanimania.com web site, you understand that the aquaanimania.com website may provide, or third parties may provide, links to other World Wide Web sites or resources and because aquaanimania.com has no control over such sites and resources aquaanimania.com is not responsible for the availability of such external sites or resources, and does not endorse and is not responsible or liable for any content, cookies, advertising, products, or other materials on or available from such sites or resources. This website is hosted, owned, operated and administered in the soveriegn country of Canada and subject to the laws, rules and regulations of Canada. By using this website you acknowledge you are allowed to view the contents of this site in your location. If you find any article, post or listing that contains dead-links, errors, incorrect or misleading information or notices as required by law please report it to the network administrator so that it can be corrected or removed. This website contains various syndicated material, public material, published material, is a human edited resource and we are not responsible for spelling or typographical errors and/or omissions but we will correct them upon notice.